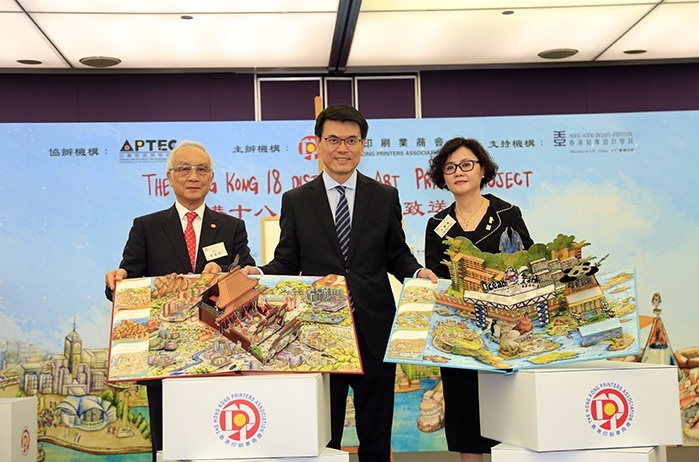 “The Hong Kong 18 districts Art Print Project” is a collaboration between Hong Kong Design Institute (HKDI) and the Hong Kong Printers Association. 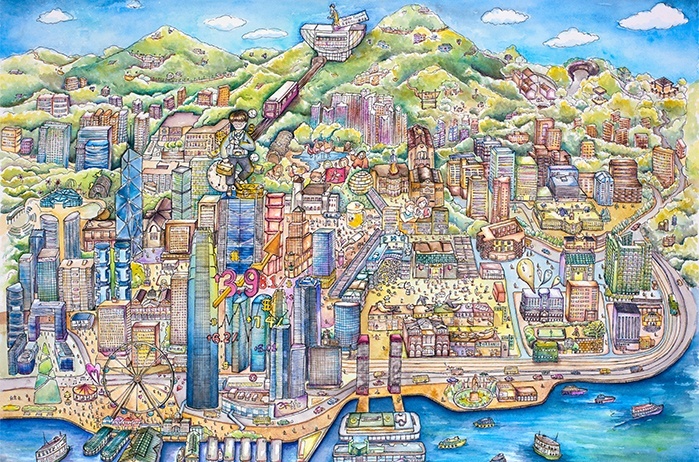 With the drawing skills and imagination, sixteen students from the Higher Diploma of Publication Design and Print Media depicted the districts’ elements of Hong Kong in a giant painting “Enlarge Hong Kong”. The painting shows the unique features of the 18 districts with ideas inspired by different stories of different people in each neighbourhood. To celebrate the 20th Anniversary of HKSAR and to share the students’ creativity with the community, the Hong Kong Printers Association has produced six pop-up books with these paintings for the Government of HKSAR, while the paintings were gifted to the 18 District Councils at the presentation ceremony of “The Hong Kong 18 districts Art Print Project” held at HKDI & IVE (Lee Wai Lee) on 23 May 2018. It was our honor to have Mr Edward Yau Tang-wah, GBS, JP, Secretary for Commerce and Economic Development, HKSAR as the honorable guest to officiate the ceremony.